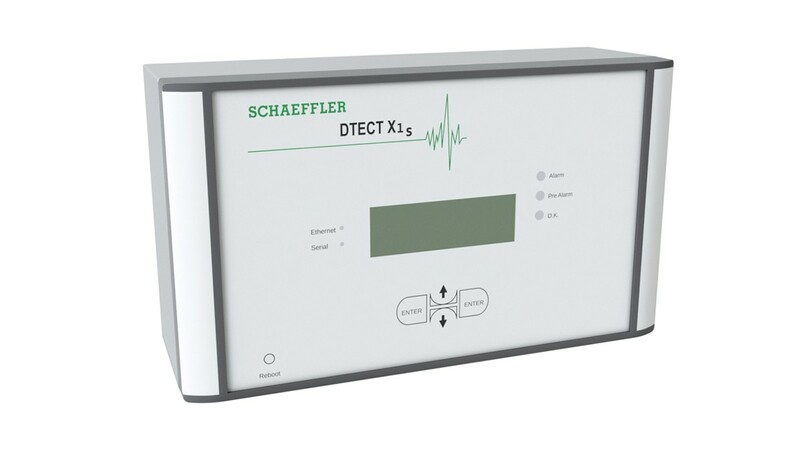 DTECT X1 s is a flexible online system from Schaeffler for the monitoring of rotating components and elements in the machinery and plant industry. Typical applications can be found in the steel, raw materials, paper and marine industries. 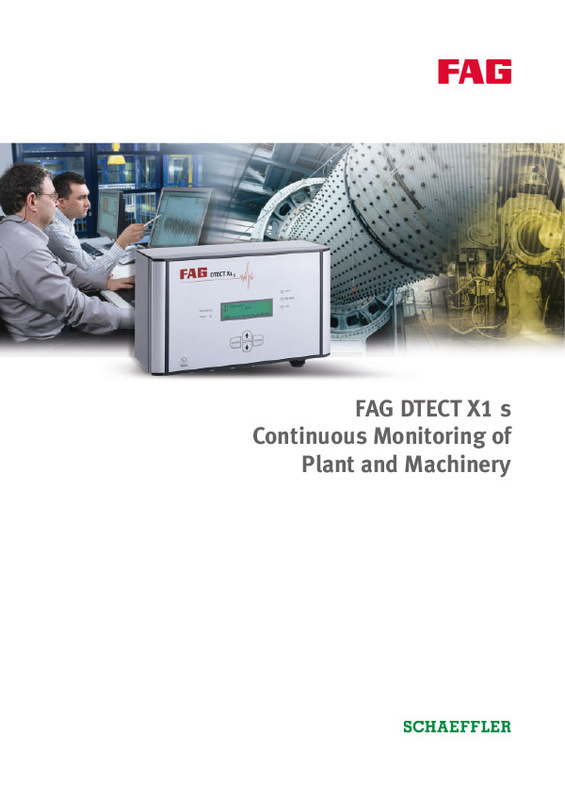 The system provides early, reliable detection of possible damage and thus helps to prevent unplanned and expensive downtime. 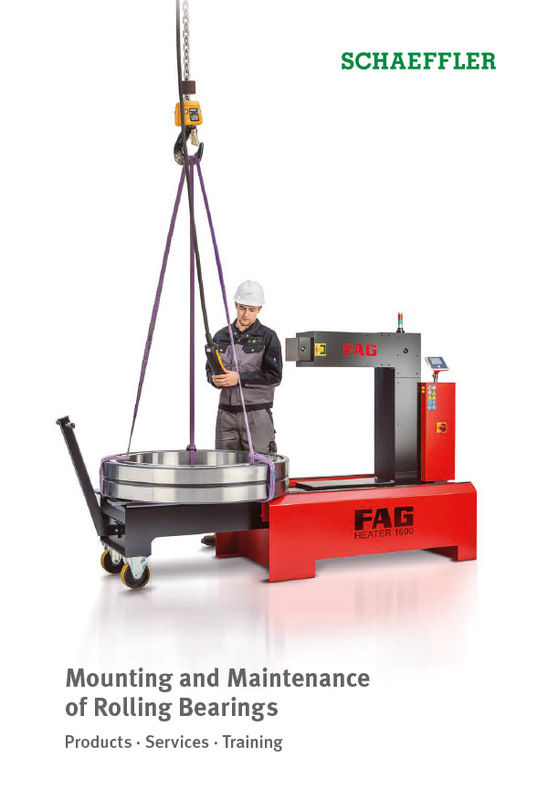 This reduces the risk of possible production shutdowns. This increases the capacity utilization of the machinery and plant. The system can be tailored to customer-specific requirements by means of the software. The base device is available as an 8-channel system. 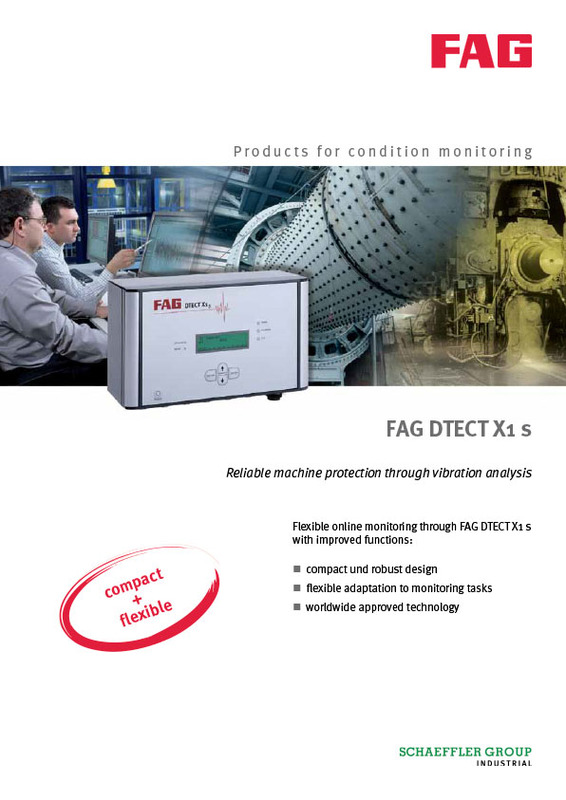 The system is suitable for connection of all conventional acceleration, speed and travel sensors. Due to its compact size and robust housing (class IP 67), it is suitable for a wide range of monitoring applications. It has standardized connectors allowing easy installation on machinery and plants.